It’s the wildest time of the year again in Calgary. 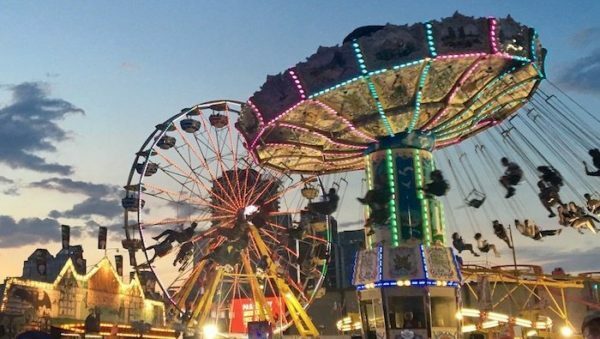 The Greatest Outdoor Show on Earth has returned, Stampede 2018 similarly to past years will be 10 unforgettable days of our lives. Whatever this means for you, whether it be dancing all night at Nashville North, trying every unusual food, or going on every ride, you need to not only look but feel your best. 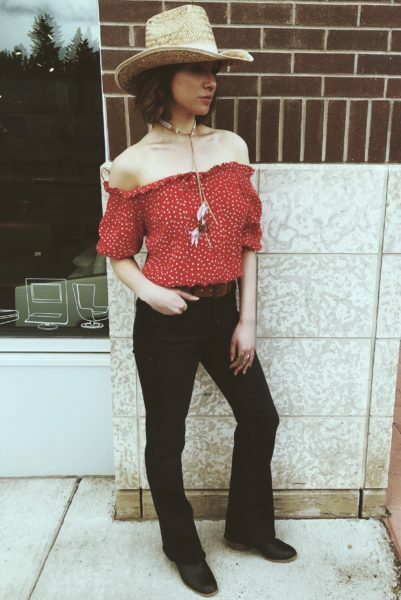 Here’s our style guide for Stampede 2018. Keep it classy this year with 3.5″ shorts (no one wants to see your private parts) and a silk camisole. Layer with a long denim button up to complete the look. No matter what adventure Stampede takes you on, you’ll be looking amazing. An edgier gal needs some Parker Smith premium denim shorts to layer over her fishnet tights, paired with a Blush Lingerie bodysuit. Top it off with a chunky statement belt and you’ll be turning heads all night long! When the sun starts to set you don’t want to get cold, pair flare denim with a bright top. You’ll look great all the way through your day until the fireworks. Add a chunky belt to channel your inner cowgirl and make a statement. Just going for the afternoon? 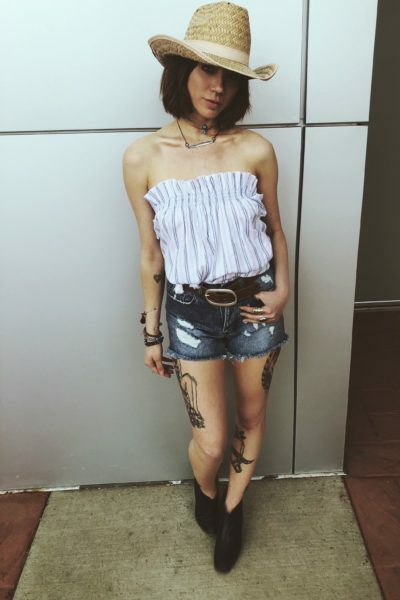 Try distressed denim shorts from RD style belted with a light flowy top, work on your tan while touring the midway. Be sure to try the delicious deep-fried Oreos! Oh, and don’t forget your belt! Dress it up, an easy trick to add character to a loose-fitted RD dress is to belt it. Enhance your body’s best features. Enjoy two-stepping the night away without worry by putting on denim shorts underneath. Belts are a must-have for Stampede, these $89 Source Apparel belts will be something you invest into for the summers to come. As seen above belting your look elevates your style with ease. It enhances your inner “cowboy” and looks great. A major part of any Stampede is finding the best pair of jeans. 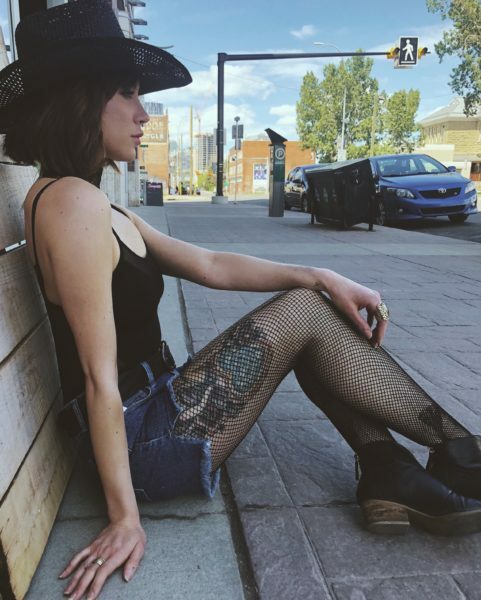 As Calgary’s #1 denim destination the espy stylists are here to provide you with a professional denim fitting and have your bum looking it’s best. 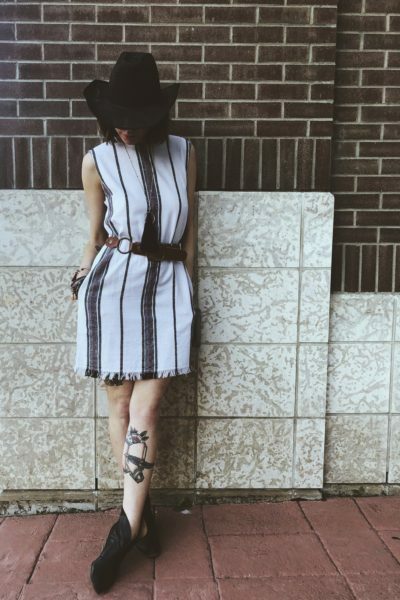 There’s certainly at least one look you loved from our belted Stampede looks! Want a little more inspiration? Book a personal shopping appointment today!